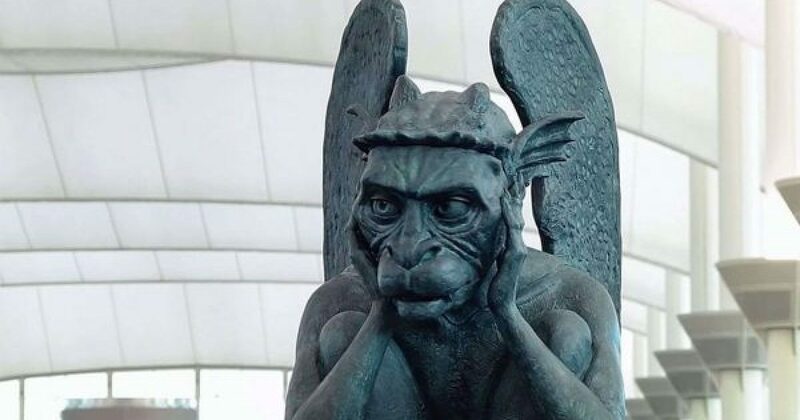 Denver International Airport has just installed a brand new animatronic talking gargoyle statue that is making fun of the “conspiracy theories” about the airport. As you can see in this video, the animatronic statue is incredibly lifelike, and it must have cost a fortune to create. The airport claims that the goal is to get more people to travel through Denver, but the truth is that when you are booking a flight there really isn’t much choice. Denver is one of the main national hubs for air traffic, and I have personally changed plans there countless times. Nobody is going to add extra time to their flight plans just to go through Denver if they don’t need to do so. In the end, this sort of promotion is very funny, but it isn’t going to change consumer behavior. So is there something else going on? Could it be possible that they are attempting to use humor to mask what is really going on at the airport? Needless to say, a lot of travelers are absolutely stunned when this gargoyle statue suddenly comes to life and starts chatting with them.